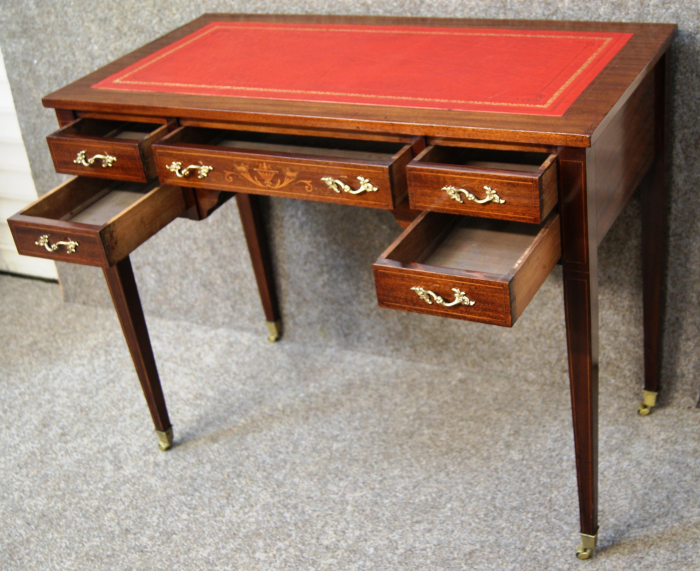 A truly delightful & very pretty five drawer writing desk / table made in the closing years of the Victorian period. 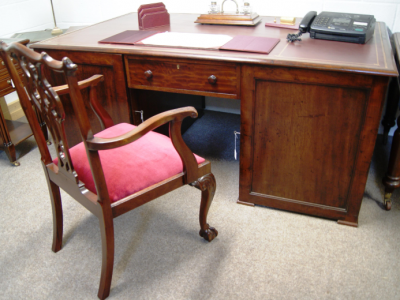 Now fully restored & offered in top condition. 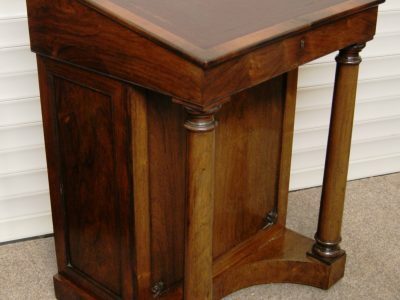 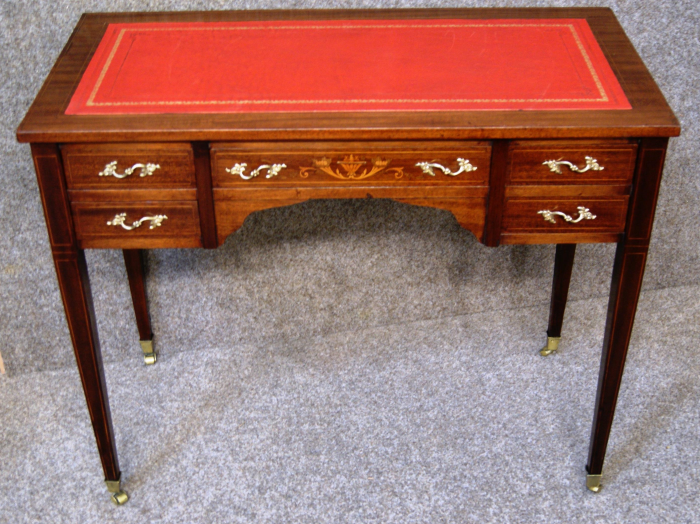 Mahogany with delicate boxwood stringing on the top, sides & legs. 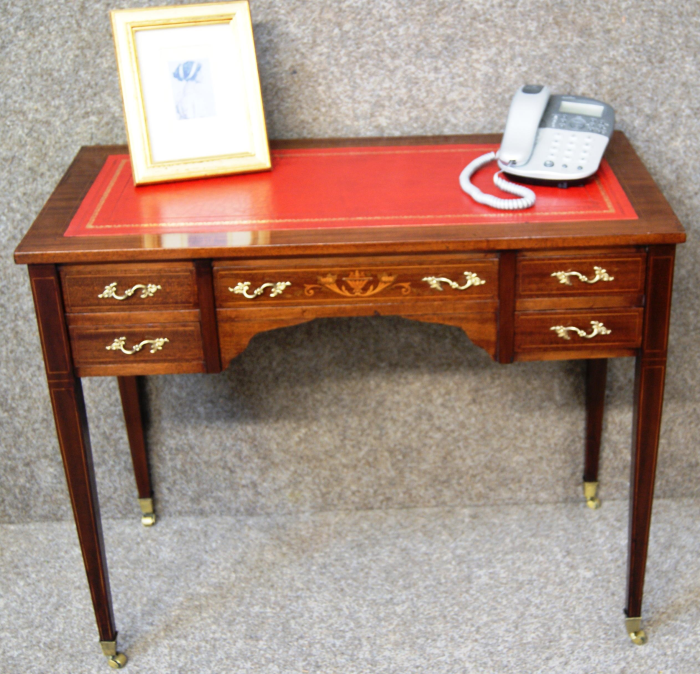 Center drawer with a fine marquetry inset. Delicate gilt brass handles. 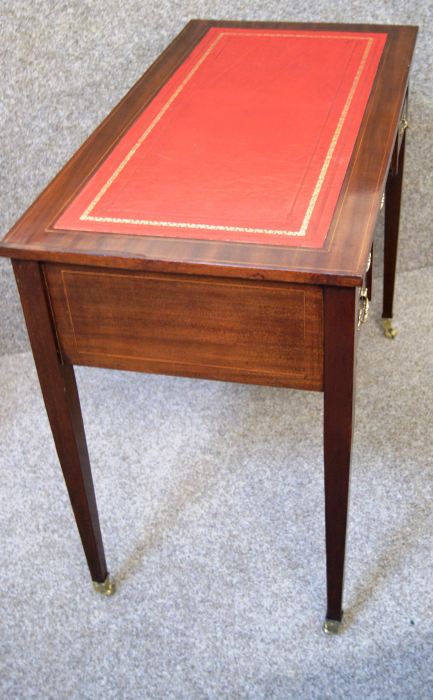 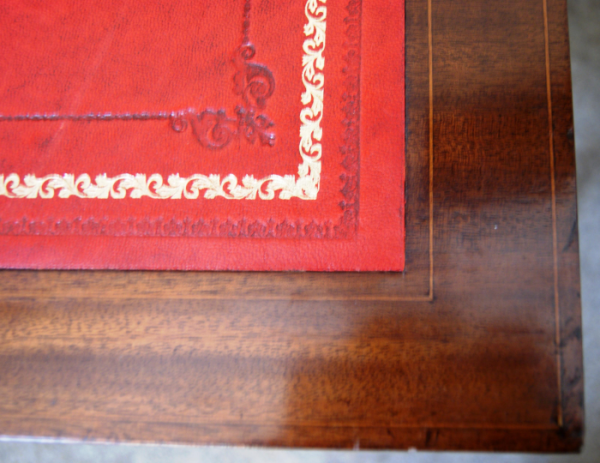 The top writing surface inset with newly fitted crimson hide leather, gilt & blind tooling to match the original. 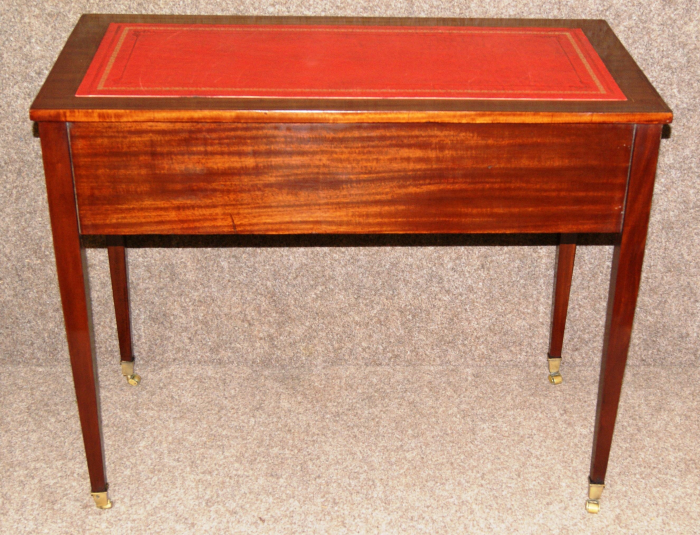 Raised on brass castors. 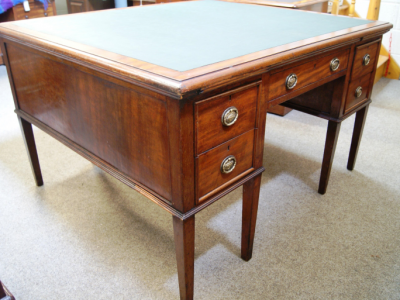 French polished all round. 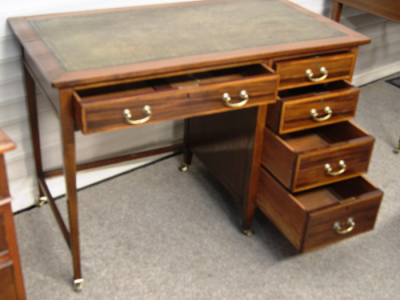 A lovely small antique desk to grace any home.